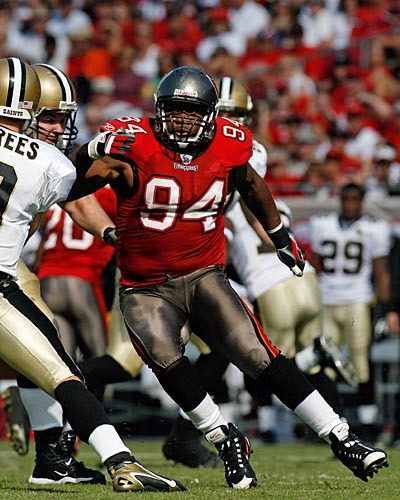 It did seem for a time as if each Buccaneer player to wear this number for the franchise has been better than the player who came before him. 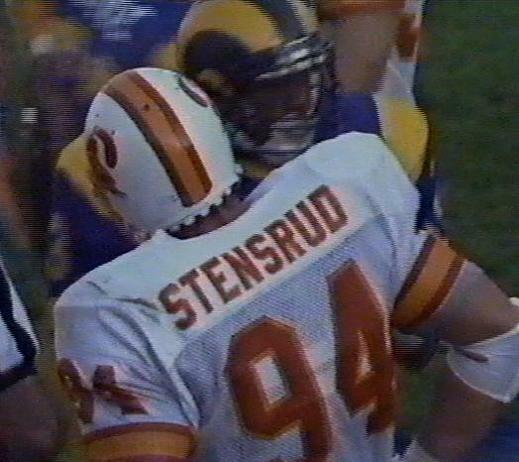 Mike Stensrud managed the somewhat amazing stat of starting 12 games in the 1987 season and failing to record a single sack. 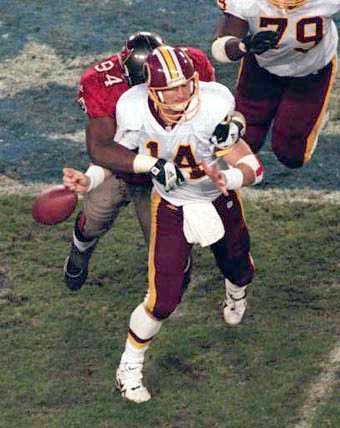 His replacement in the same jersey during the strike games, Charles Riggins, at least ensured the 94 jersey got one that year. 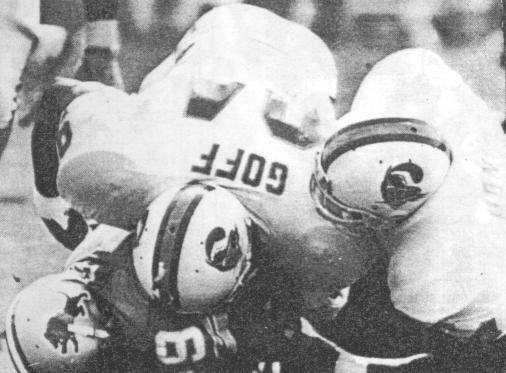 Robert Goff was more well known for his nickname of "Pig" and played two decent seasons in Tampa before moving on to New Orleans. And after him and Toddrick McIntosh, came Steve White who played six seasons with the Bucs under Tony Dungy and who often called in to local radio shows in the Bay area. 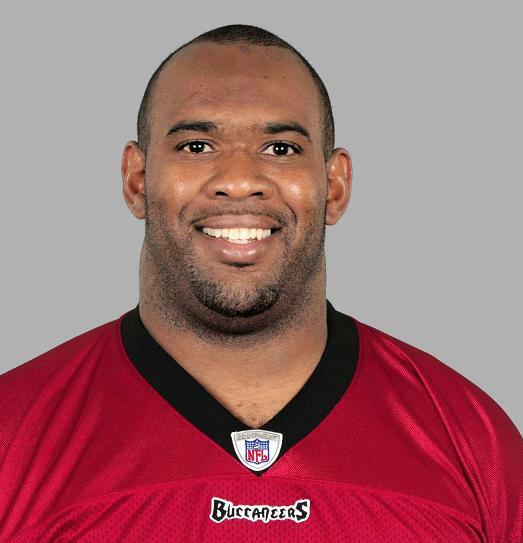 Which brings us to the best to wear this number, Greg Spires. Not heralded when he arrived in Tampa, he made the left end spot his own and played probably his best-ever game in the biggest game of all, Super Bowl XXXVII. 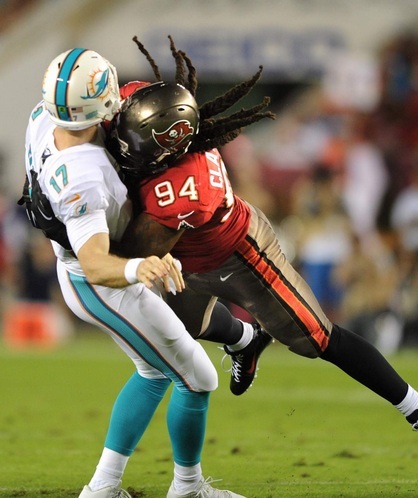 One of the most recent owners of the jersey was 2011 first-round pick Adrian Clayborn who had an excellent rookie and third seasons but the other two were curtailed by injury and he wound up leaving Tampa to continue his career elsewhere with the Falcons.